VW has shuffled the lineup of the Tiguan a little bit for 2017. The R-Line is no longer available, it's been replaced with the Wolfsburg edition. The SE has also been replaced, with a new Sport trim. In addition, the base S model now gets a little bit more standard equipment including an update stereo with better connectivity options. 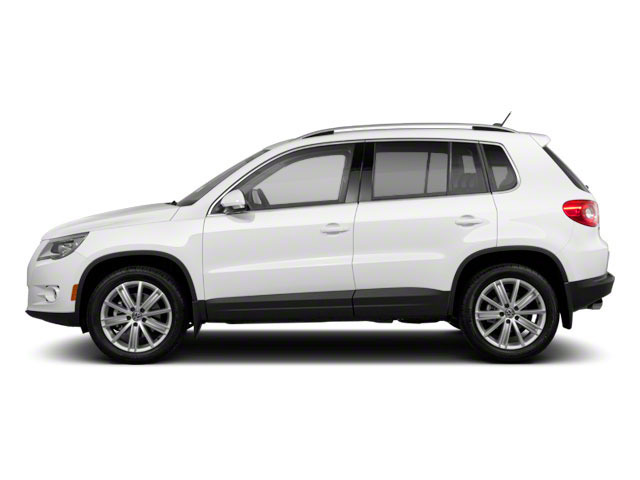 The Volkswagen Tiguan is offered in several different trims, including base S models, the stylish Wolfsburg Edition, mid-range Sport and luxurious SEL models. No matter which model buyers choose, the Tiguan is powered by a 2.0L turbocharged 4-cylinder engine, making 200 horsepower and 207 pound-feet of torque. On the base Tiguan S, a 6-speed manual transmission is standard. A 6-speed automatic that includes Sport and manual-shift modes is optional on the S and standard on the rest of the lineup. The sporty R-Line also includes steering-wheel-mounted paddle shifters. Available on all Tiguan models with the 6-speed automatic, VW's 4Motion all-wheel drive system can continuously vary power to each of the four wheels depending on the conditions. Although 90 percent of drive torque normally gets sent to the front wheels, 4Motion can send up to 100 percent to the rear wheels when needed. 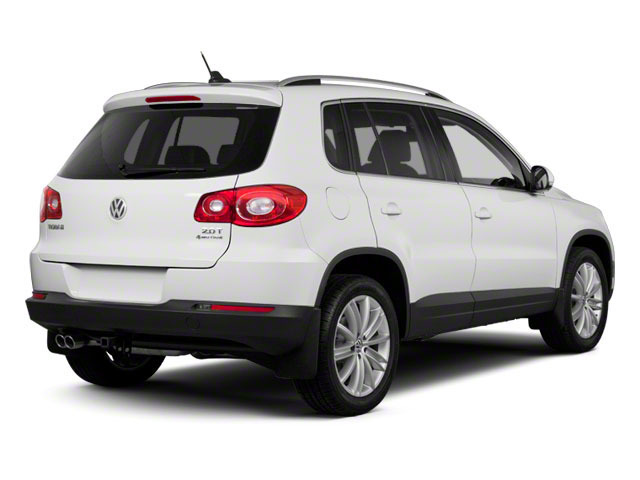 The Tiguan is a crossover wagon, and it allows plenty of passenger space plus a mechanical layout that allows it to ride and handle like a compact sedan. A strut-type front suspension and 4-link rear setup keep the wheels in contact with the road, while an electromechanical power steering system provides precise control. The Tiguan includes 4-wheel vented disc brakes, with vented discs in front as well as brake assist and an electronic parking brake. 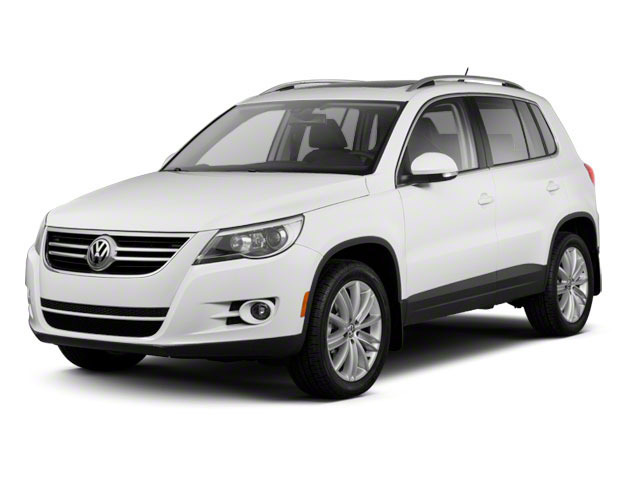 The Tiguan can tow up to 2,200 pounds when properly equipped. Inside, the Tiguan's design affords easy entry and exit, and good visibility from the driver's seat. The back seat is also quite spacious and split 40/20/40, allowing access to a full 56.1 cubic-feet of cargo-carrying space -- over the already spacious 23.8 cubic-feet with the back seat in place. The base Tiguan S includes power heated side mirrors, automatic headlights, V-Tex leatherette seats, cruise control, a multi-function steering wheel, air conditioning, intermittent wipers, Bluetooth connectivity, an MIB II infotainment system with 5-inch touchscreen, keyless entry with push-button start and an 8-speaker sound system. The Wolfsburg Edition model gets 17-inch Novara alloy wheels, a panoramic sunroof, heated side mirrors, unique Wolfsburg badging, a 12-way adjustable driver's seat, VW's Car-Net and a rearview camera system. Sport models add a panoramic sunroof, 18-inch "New York" alloy wheels, leather seating plus heated front seats, a power driver and passenger seat recline, heated washer nozzles, and adaptive front headlights. The SEL features 19-inch "Savannah" alloy wheels, dual-zone automatic climate control, and a Fender Premium Audio System. The Volkswagen Tiguan goes up against a long list of strong rivals like the Ford Escape, Honda CR-V and Subaru Forester, and it stands out even in that crowd for its very refined, economical engine, crisp handling and cleanly styled, nicely appointed interior. Feature-wise, with the Car-Net system, Fender audio, and MIB II infotainment, the Tiguan is also near the front of the pack for entertainment and connectivity.